Boulder is blessed with a bounty of incredible adventures right in its backyard. Whether exploring the majestic Flatirons, touring the canyons or wandering the foothills, there’s a new side of the city waiting to be discovered around every corner. From the bat cave to Boulder creek, here’s a solid hit list of our favorite must do adventures. The three summits that tower above the Flatirons—Green Mountain 8,150 ft., Bear Peak 8,461 ft., and South Boulder Peak 8,549 ft.—can be connected in a variety of ways for an epic day adventure. Expect a good 5,000+ feet of total elevation gain if done as a point to point (about 6.7 miles by the most direct route starting at Gregory Canyon and ending at the South Mesa Trailhead). If you want to make a full loop, the Mesa Trail skirts the base of the trio. Plot your favorite route by using the City of Boulder’s Mountain Parks interactive map . A spring ride up Left Hand Canyon. OK, so Lance Armstrong’s reputation may be slightly tarnished, but nonetheless, one of his favorite training rides when he lived in Boulder is still one of Colorado’s classic canyon climbs . From the Green Briar Inn on Hwy. 36, it’s 16 miles and over 4,000 vertical feet to the odd little town of Ward. To avoid Hwy. 36 altogether, start your ride at Lee Hill Drive and connect into Left Hand Canyon for a few bonus hills. Despite the intimidating stats, most of the climb is gradual on a paved road with a wide shoulder—just watch out for the steep push during the last mile to Ward! Mallory Cave is a roosting spot for Townsend’s Big-Eared Bat, a likable fellow who does his part to gobble as many mosquitoes as his tiny belly can hold. 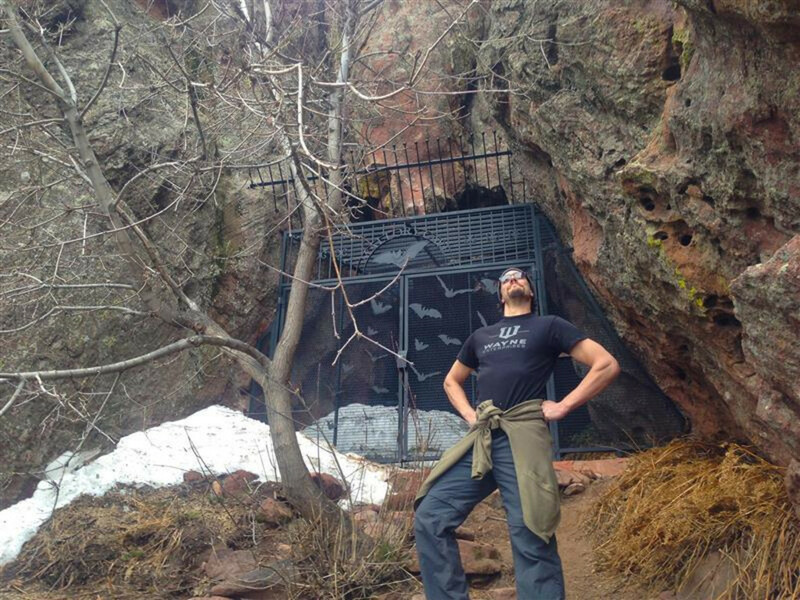 Boulder gated off Mallory Cave to protect this important bat habitat. Rather than just install a bland barrier, the city opted to put up a decorative iron gate that is worth seeing. Mallory Cave is a fun hike with a nifty scramble up to the gate itself. Batman shirt optional but preferred. The sustained 5.4 climbing on the third Flatiron offers 1,300 vertical feet of trad climbing goodness. Usually done in eight pitches, this classic route is a great introduction to multi-pitch climbing as well as a fun place for experienced climbers to get a solid climbing workout on one of the most amazing features in Boulder. There are plenty of other variations as well for those looking to ascend via routes other than the standard East Face. 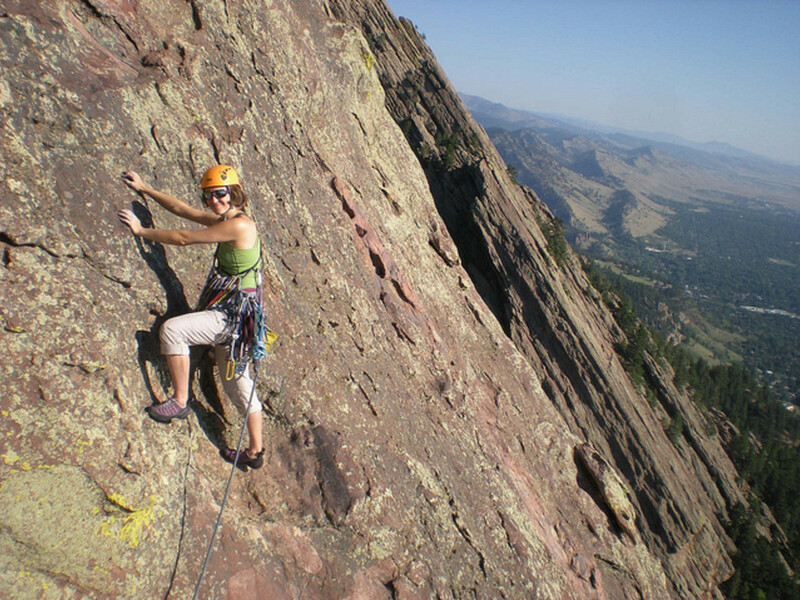 If you're looking for a local Boulder guide to help you up, try Vetta Mountain Guides . Starting at the Left Hand Canyon entrance to Heil Ranch , mountain bikers can link Heil’s fun, intermediate trails via the Picture Rock Trail all the way into the town of Lyons, where a 1-mile bit of paved road leads to Hall Ranch . 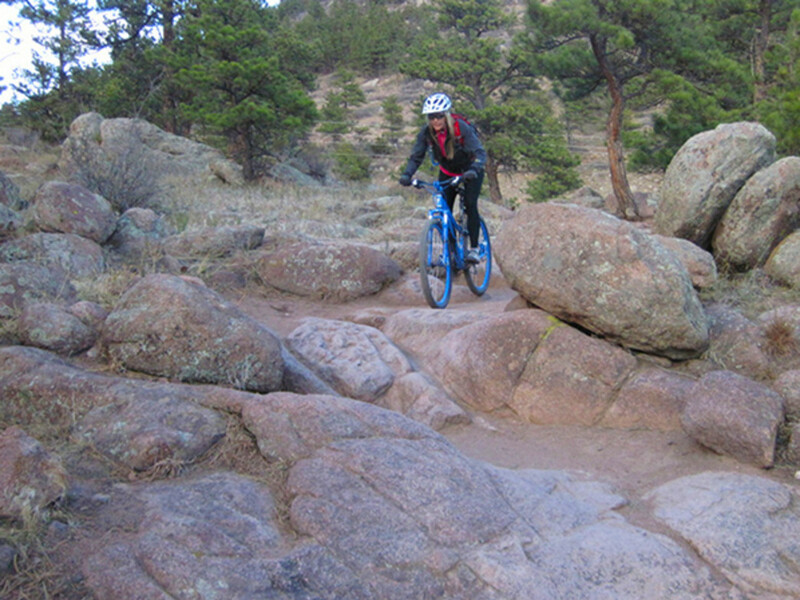 Hall’s notorious rock garden along the Bitterbrush Trail offers some of the best technical riding in the Front Range—the speedy lollipop loop that follows is pure biking bliss. The most straightforward route out and back starting from Heil Ranch will take strong bikers 4-5 hours and cover over 35 miles. On hot summer days, many riders opt to refill their hydration systems by carrying a water filter and restocking at the St. Vrain River along the way. Riders who want to combine trail and road (29ers, I’m looking at you) should give this burly tour a go. 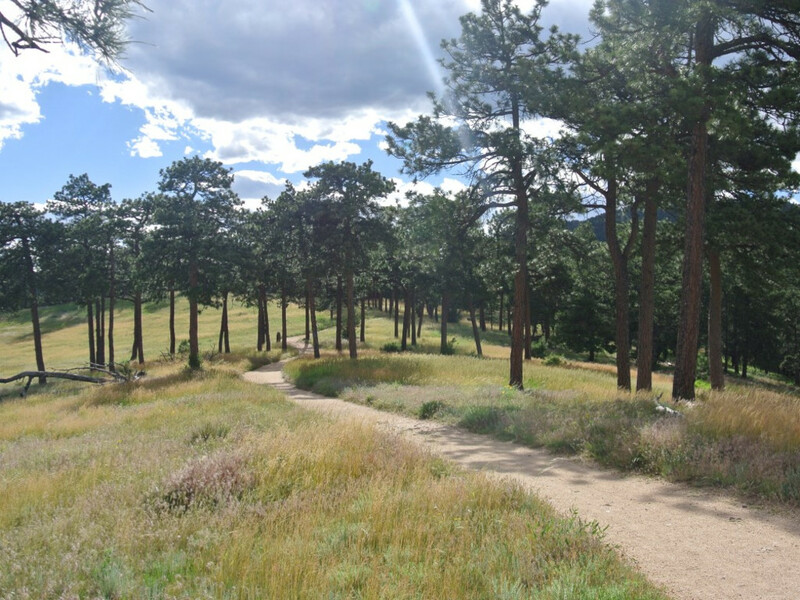 Park at Betasso Preserve and start your day with a tour of Canyon and Benjamin Loops. That’s the warm up. 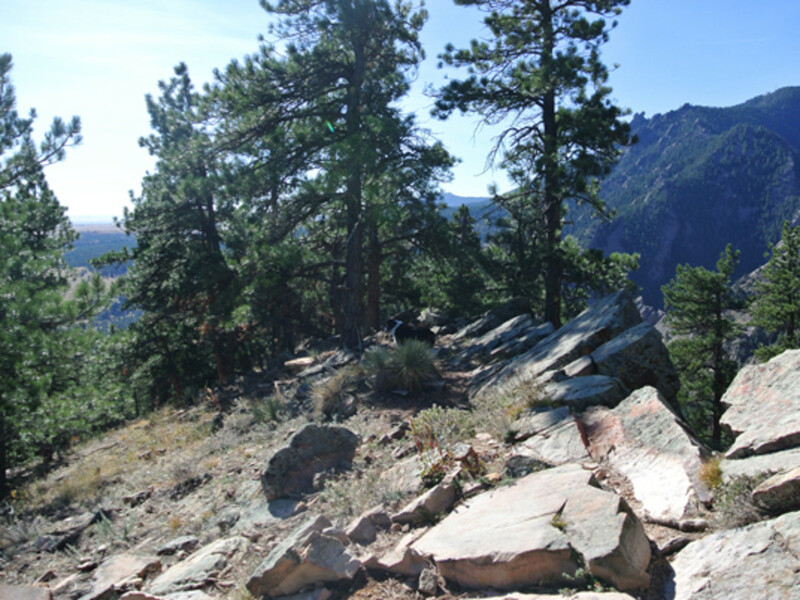 Head back down to Boulder Canyon (either by the road or via the Connector Trail) and head towards Magnolia Road. Get ready for 4 miles of sustained, paved climbing that averages a 9.1% grade and has switchbacks that are over 20% steep! At the top of the hill, there are still 8 miles of rolling dirt road to reach Peak to Peak Highway (Hwy. 72). After climbing more than 2,400 vertical feet, turn north on Peak to Peak to the town of Lyons (a great place to stop for lunch). Resume your tour by continuing on Peak to Peak until it connects with Sugar Loaf Road. More climbing awaits along dirt roads that eventually turn to pavement in the community of Sugar Loaf. A blazing, paved downhill will bring you back to the Betasso Preserve Road and completes the loop 38 miles later. Total climbing is over 4,000 feet. In 2014, Boulder completed the Highway 93 Underpass that connects the Marshall Mesa network of trails with Community Ditch. The upshot was that two great trail systems became one—without a Frogger-style life-or-death street crossing across Highway 93 to connect the two. Runners can go for a quick jog or run their own personal marathon without seeing the same terrain twice. Oh yeah, and the views aren’t too shabby either. 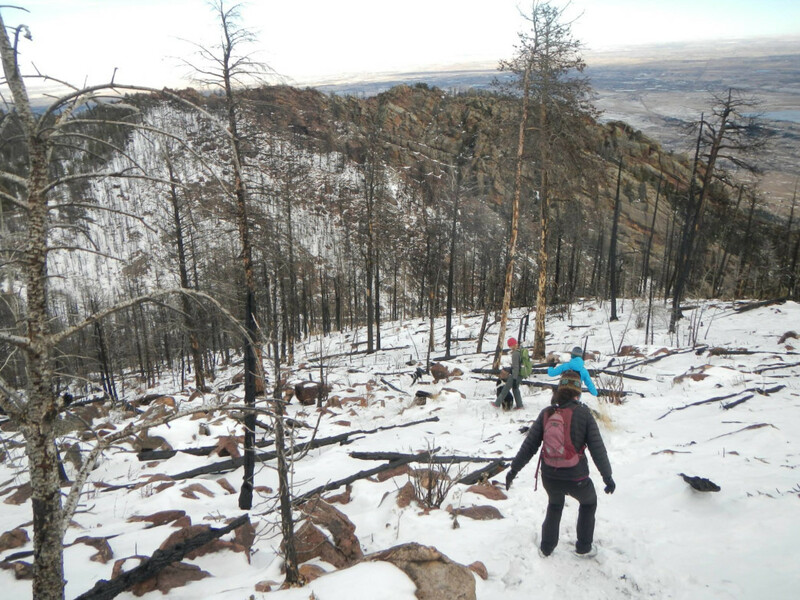 The Saddle Rock Trail was one of the hardest hit during the floods of 2013. There’s still extensive damage along the trail that nature is slowly healing and that in itself is worth a look. 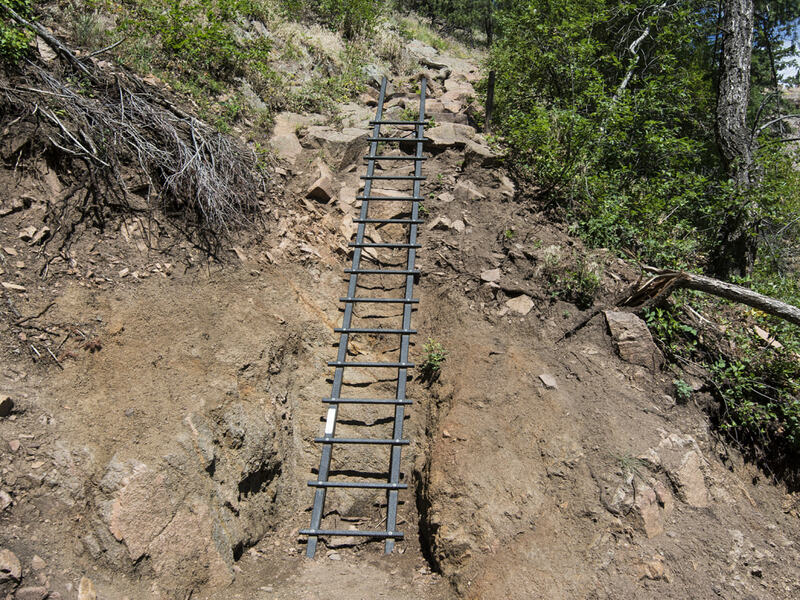 The City of Boulder added a long ladder on the upper trail to compensate for the washed out terrain. But it’s not just the novelty of the ladder, it’s also the chance to see a trail completely redesigned courtesy of the floods. Saddle Rock merges with the EM Greenman Trail that eventually tops out on Green Mountain for a 6 mile round trip with over 2,000 feet of vertical elevation gain. What do Jesus, a human banana, dozens of vikings, and the Statue of Liberty have in common? They’ve all run the Bolder Boulder ! 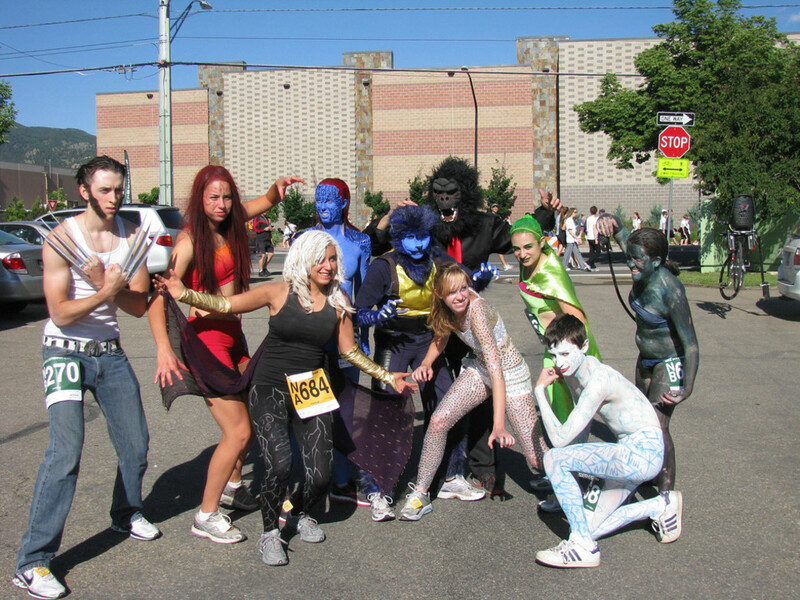 The city’s famous 10k event is well known for its costumed runners, not to mention the variety of fun distractions along the sidelines, from waterslides to Elvis impersonators. Why not put on your best disguise and give it a go? If a teletubby can do it, so can you! 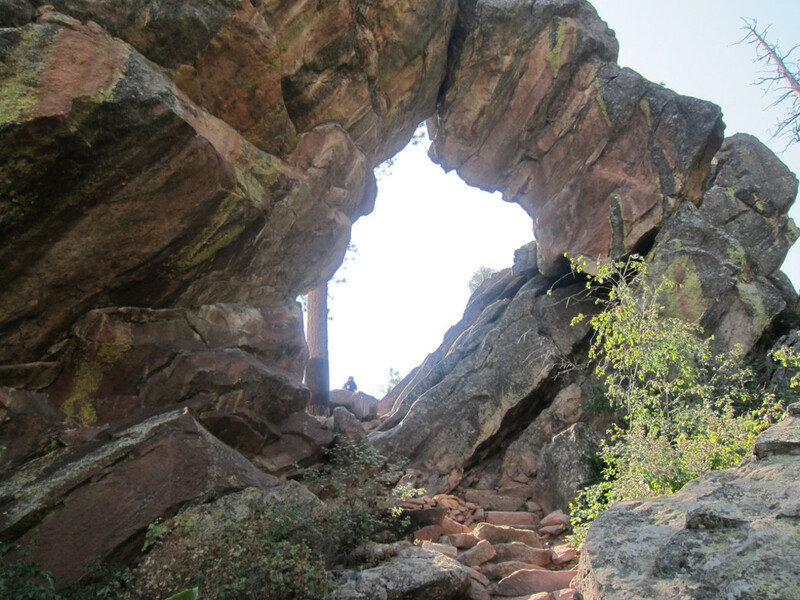 Boulder’s humble Royal Arch must have felt very lonely in 2014. The steep trail to the natural sandstone bridge was closed for nearly a year following the 2013 floods and didn’t reopen until late summer in 2014. The city has worked hard to restore the trail and 2015 will be its first full year back in business (barring another flood, of course). Royal Arch’s round trip mileage is only 3.2 miles but offers a stiff climb over 1,200'. 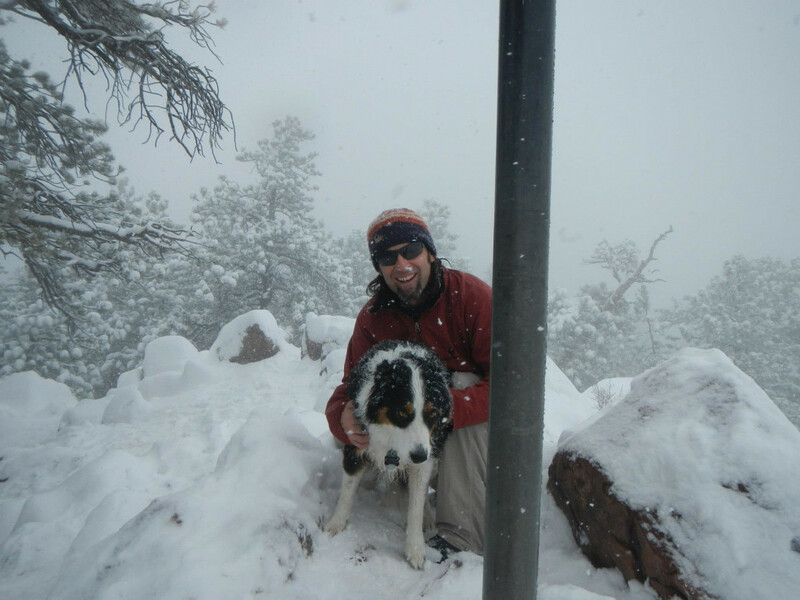 The next time rain or snow comes to town (a somewhat rare event), why not gear up and head for Mount Sanitas ? The 6,843 ft. summit is especially glorious during a snowstorm and can feel like a much more remote peak when socked in by the elements. Fair weather hikes are fine but to really catch a new vibe off Boulder’s most climbed mountain, inclement weather paints a new portrait (avoid lightning storms of course). 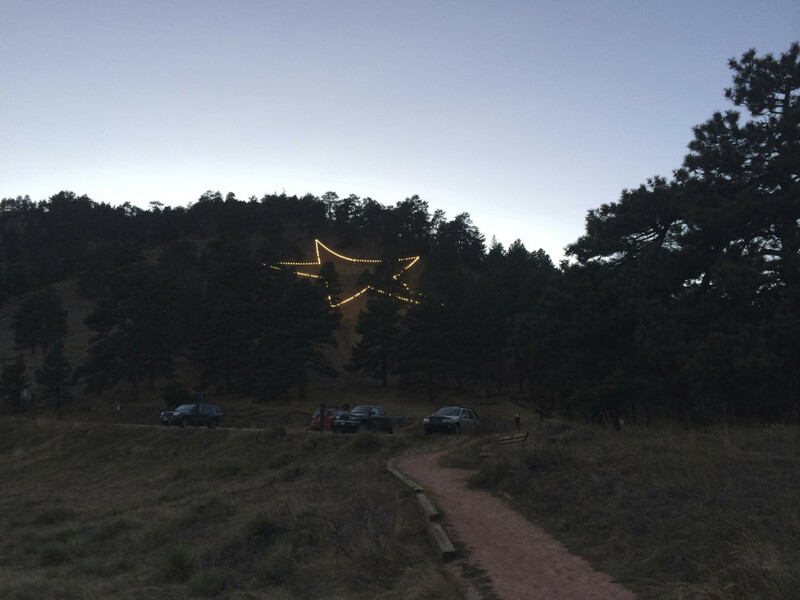 When December comes around, a hike up to Boulder’s venerable electric star on Flagstaff Road is a fun way to welcome in a new winter. There’s a good trail up Gregory Canyon if you prefer a hike (as opposed to just parking next to the thing and ambling up). Our feature story on the star offers a bit of history and directions. A photo in the star with your sweetie—or your dog—will be a keeper. 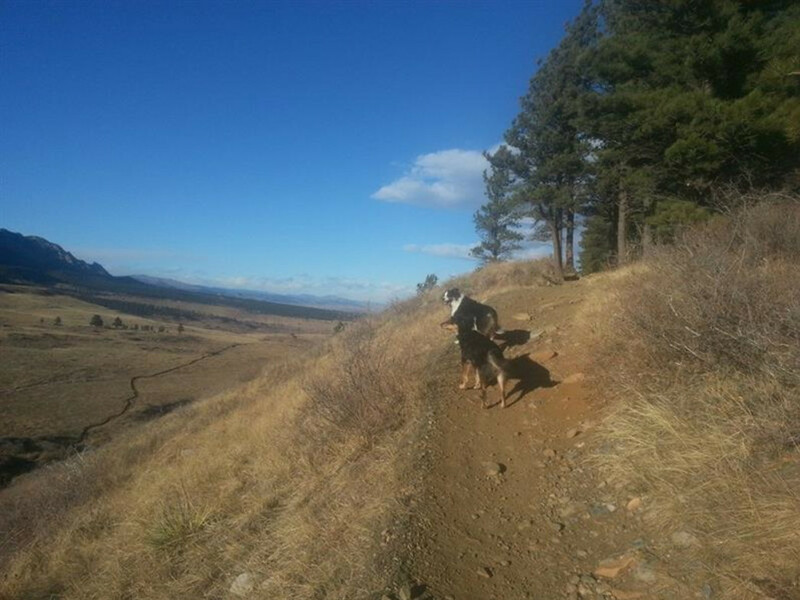 Even locals have a hard time finding all of Boulder’s best trails. We compiled an earlier list of Boulder’s 4 Hidden Trails , but there are many more waiting to be found. One of the most overlooked is the Anemone Trail, an open secret that shares the Centennial Trailhead with the much more popular Mount Sanitas. Looking for a real challenge? See if you can find Harmon Cave! 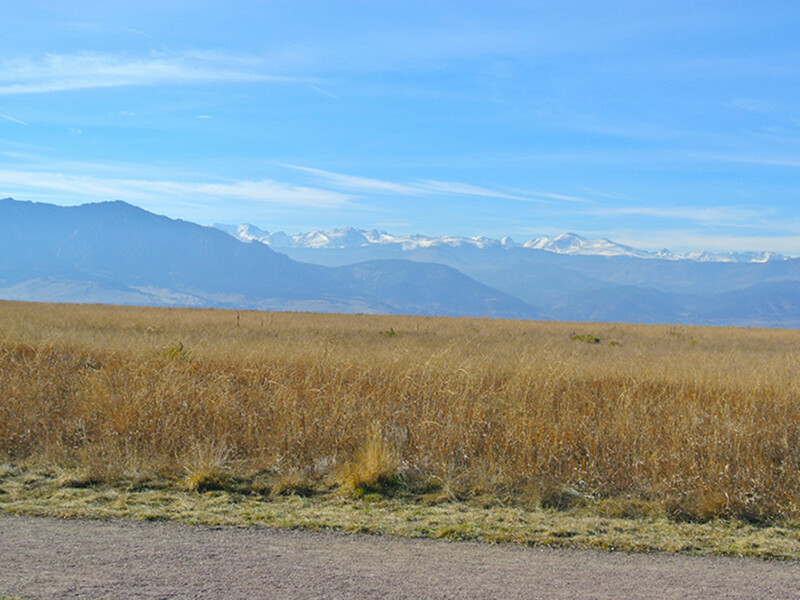 Davidson Mesa is located on the border of Boulder in nearby Louisville. Besides having a nice fenced in dog park, the mesa itself has perhaps the very best views of the city of Boulder. Photographers enjoy the potential for stunning sunset and nighttime photos from the mesa, but it’s a pretty nice place for a picnic (or a trail run). Bring Fido and a good lunch, and marvel at the towering Flatirons and if you’re lucky, Longs Peak to the north on clear days. 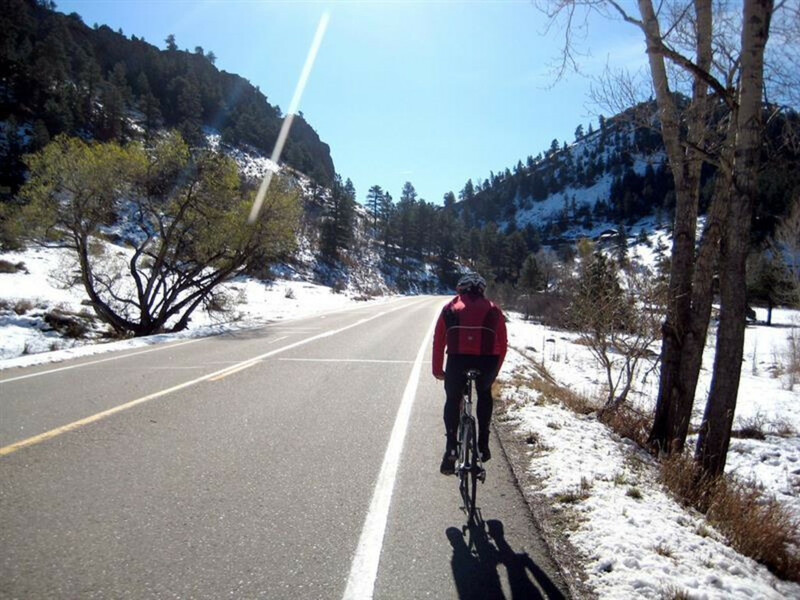 Our final must-do is to jog the Boulder Creek Path four miles from Scott Carpenter Park to the trail’s current terminus up Boulder Canyon at Four Mile Canyon Road. 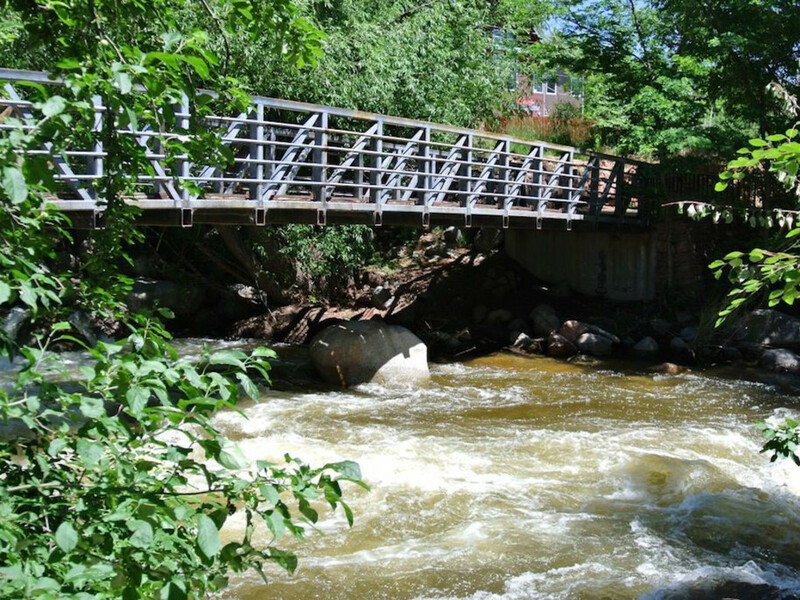 As it follows the creek, this paved and gravel trail goes through the heart of Boulder from city to wilderness. And the great news is that the trail is being expanded to continue all the way up to Betasso’s Connector Trail in 2017. So you can say you ran it when it was only four miles, earning you some kind of old school Boulderite bragging rights.